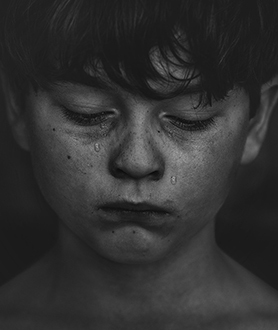 Recent opinion pieces from Angela Sausser (Public Children Services Association of Ohio) and Richard Wexler (National Coalition for Child Protection Reform) offer conflicting views for addressing the increasing number of children affected by parental opioid abuse or overdose. The first calls for leadership and additional funding for children services agencies and foster care. The second decries this approach and presses for keeping children with their parents as they undergo in-home drug treatment. Taken together, these two approaches reinforce one critical point: No single approach can be effective across the board. Just as the circumstances that drive addiction vary, so do its effects on the children of addicts. Whether the answer is keeping children at home, or placing them in foster care, kinship care, or a residential group home depends on each child’s individual circumstances. A proven tool for solving any placement puzzle is the CASA volunteer, and the Ohio CASA/GAL Association stands ready to partner with everyone – state and local judicial and government officials, child welfare agencies, non-profit groups – committed to working toward solutions. CASA (court appointed special advocate) volunteers are specially trained members of the local community who advocate for the best interest of children drawn in to the child welfare system by abuse or neglect. CASA volunteers are appointed by judges to gather information, including the child’s own input, that can provide additional guidance to courts making placement decisions. CASA volunteers do not and cannot do the work of case workers and attorneys but they enhance and facilitate it, bringing a quicker exit from the system for the child. And often, many judges believe, a better resolution. Former CASA kids say the volunteers are effective specifically because of their varied backgrounds, which spawn fresh perspectives and new approaches. The very nature of a CASA volunteer’s work and the one-to-one relationship with children gives rise to a relationship not possible within the confines and time constraints of a more traditional framework. Because CASA volunteers do not earn a salary, there is no drain of limited public resources. The only cost is the relatively minimal investment in the programs that recruit, train and support volunteers. On average, annual funding for one CASA program staff member supports 30 volunteers, who serve an average of 3 children each. In 2016, for the cost of 151 CASA staff positions, roughly $6 million, 8,753 Ohio children received a year of quality advocacy leading to enhanced resolutions. Costs associated with foster care for just the final quarter of that year topped $60 million. So efficient is the CASA model that Ohio CASA was able to expand the reach of CASA programs in Ohio by 39 percent with a $2 million grant from Attorney General Mike DeWine. Sausser notes that legislators increased funding for child services during the most recent budget cycle. But despite its effectiveness and the valiant efforts of Sen. Peggy Lehner (R-6th District), CASA does not receive state funds. Ohio CASA relies on federal grants and private donations to support the 42 programs that provide services in 51 counties. It is important to realize that CASA is not just beneficial to children. CASA volunteers relieve the burden on the child welfare system. They are pivotal in reducing both the time any one child spends in care and that child’s likelihood of re-entering the system. This reduces case overload because, with fewer children re-entering, fewer cases are filed overall, and those that are cycle through more quickly. Not only does this reduce the costs associated with any one case, but it could abate the high rate of turnover from job stress among case workers, which, according to PCSAO data, posed an alarming $24.3 million threat to the state in 2016. There are also societal benefits. CASA volunteers, as local community members, raise awareness about child abuse and neglect, human trafficking and domestic violence. They are instrumental in raising funds and effecting change at the local level. Ohio CASA is helping to effect change at every level. We enthusiastically await an expanded role.